Essay. We like to think of “Western Economics” as the enlightened economics of Adam Smith (1723-1790) in which we, the people, can play an active part and act in our own self-interest and be respected for it and shunned if we don’t; that’s the only rule and it’s enforced by law and regulation and the societal norms of risk aversion and bargaining practice that we are familiar with. 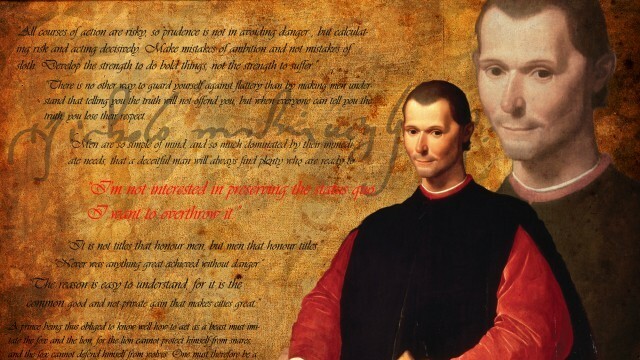 But the aggressions of modern society within itself since the Magna Carta of the 13th century cannot be overlooked; nor can we overlook the overarching practice of enforced colonialism and mercantilism in the 17th and 18th centuries and even much longer; and most of the world today cannot make that choice of engaged self-interest but is conscripted to someone else’s purpose by the force of arms; by the force of religion; by the force of colour or race; or all of them because where there is one of them there will soon be all of them. 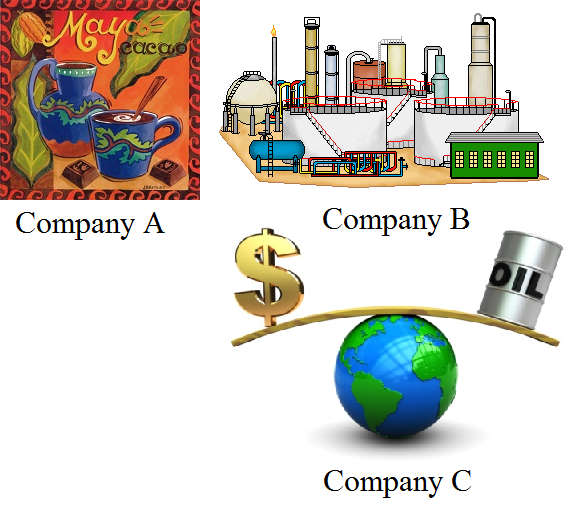 In the terminology of The Process, we can partition the world economy into the “action” of four “companies”, Company A, B, C and D, each of which requires and enforces a trading modality between itself and its trading connections which must exhibit the same modality in order to trade with that company and in order for the company to exist as such. Company B with a modality 1/e < α ≤ 1 describes the modality of “Western Economics” whereas Company A with modality 0 < α < 1/e describes an economy that is burdened by debt (which is both a burden and an opportunity) or burdened by a surfeit of receivables over payables and either way, it is descriptive of what we call the “3rd World” and emerging economies; Company C, however, describes a “kleptocracy” or “hegemony” in which the trading connections are burdened with an excess of payables such as taxes, royalties, rents and “uneconomic” prices which leads to an excess of receivables (but not necessarily profits) in Company C over its payables. In a simplistic view, it could be said that Company B buys in Company A at low prices and pays Company C at high prices for the goods and services that it wants but that view is not entirely correct because Company B exhibits within itself aspects of both modalities and it needs them both in order to avoid the “death embrace” of Company D with modality α=1/e or the “exchange economy” that develops with modality α=1; these latter are “point economies” and don’t exist because they are “sinks” in dynamic terms and antipodal within the Company B modality and the “sink” at α=1/e in Company B is an “attractor” for Company A and at α=1 an attractor for Company C.
Hence, it could be said that the Company B program takes in resources from Company A and emits “product” and receives “money” at the end of process and engagement of Company C. For example, Stalinist economics in the 1920s and 1930s was relieved from the modality α=1 and an exchange economy with no effective credit by the New Economic Program (NEP) of the 1930s which is a Company B program; and the enforced “colonialism” that develops in Company D at α=1/e is usually relieved by a “revolution” in Company B (such as the French Revolution of 1789) and innumerable revolutions and changes of government in Company A but no effective change in the modality or sometimes an effective change towards the Company B modality; and “high tech” companies such as the Intel Corporation, Microsoft, Cisco Systems and Apple Incorporated all have modalities in excess of α=2 and are all Company C and subject to many competitive pressures from new technology that emerges in Company B. The destruction of the world as we know it is a certainty should either of the modalities of Company A or Company C prevail and absorb Company B (The Guardian, March 14, 2014, Nasa-funded study: industrial civilisation headed for ‘irreversible collapse’?). The question is, then, how does Company A or Company C migrate to the modality of Company B; or to put it another way in the interests of self-interest, how does Company B absorb Company A and Company C peacefully in-process? From an economic point of view, the issue reduces to the implementing sets that we can expect to find when Company B deals with Company A or C and attempts to bring that modality into its own. In the following, we will assume the notation and concepts of The Process but will also provide a review as would be helpful. Company B demonstrates (by definition) the modality 1/e < α ≤ 1 in the relationship between its “production activity” in-process and that of its trading connections who must also have the same modality; on the other hand, Company B is proactive in establishing the trading connections and it does so by developing a set of “payables” (a) which are negotiated and reciprocated by a set of “receivables” (b) in the trading connections and to be “in-process” means exactly that if a=p((a)) is the measure or probability of the set of payables (a) and b=p((b)) is the measure or probability of the corresponding set of receivables in the trading connections both of which are contained in the σ-algebra generated by Company A and its trading connections, then a and b must be conformable to both of the E-conditions a×log(a) = α×log(b) and b×log(b) = α×log(a) which we call the 1st and 2nd E-condition, respectively. For example, Company B could be a “legal company” and its payables set would include plant & equipment which are financed; supplies that it buys on credit; and labour that it employs and pays later, all of which purchases are effectively on “credit” although cash is allowed but it’s not effective in an economic sense if it terminates a trading connection. The “receivables” set is the “payables” to the company from its customers and those who receive or buy its products and services and supply its materials; among the receivables set are its suppliers, employees and shareholders who are the “receivers” of the company’s “product” as realized in its set of payables and the receivables which they create both of which “vanish” as the accounts are settled and the company completes its process and the trading connections receive its product and “leave” a residual that is an excess of receivables over payables in-process which we have called its “profit”. The modality of the company, however, is not something that is given to it or assigned; it must developed between itself and its trading connections and, as we demonstrated in The Process, there is a necessity in which a “Conservation Law” can be expected to demonstrate a modality; for example, in the case of energy and mass, α = e/m = (c^2) and in the appropriate units, c=1 and the company process (“nature”) would be required to negotiate energy and mass between the exchange modality at α=1 and the “death embrace” of zero entropy at α=1/e in a Planck space; and in the case of the balance sheet, α = r/p where r is “what is owed to the company” and p is “what the company owes”. 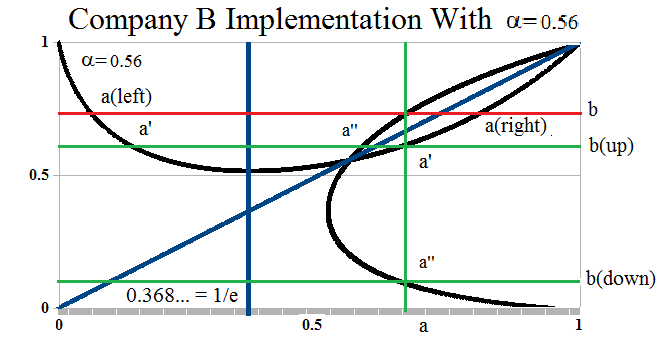 The dynamic and implementation of the process of Company B with modality α=0.56 is illustrated in Figure 1 on the right; if Company B is in-process and a=p((a))=a(left), then there is a set of receivables (b) with measure p=p((b)) which conforms to the 1st E-condition; that is also true at a(right) but not necessarily with the same set (b) but one with the same measure or probability. However, the second E-condition requires a level of payables that we have noted as a” (at the bottom) and it is always the case that a(left)≤a”≤a(right) with equality occurring only at the intersection on the diagonal at a=b=α and at the “completion” of the process at a=b=1; moreover, the implementation “vanishes” at a=b=α=1/e with the modality α=1/e < 0.56 but α=0.56 is the modality that we are dealing with and that condition does not obtain although a=p((a))=1/e is still negotiable. Hence, the process at a=p((a)) (payables) can advance to a’ (for simplicity, on the left and close to a(left)) by taking “receipts” from receivables b at a(left) or a(right) to a lower level b(up) at a” which exists and is now on the 2nd E-condition and the process (a) advances from a(left) to a’ and then to a” on the 1st E-condition and can be repeated with b=b(up); if, however, the process is at a(right) and takes the same measure of receivables from b to b(up), then the process “recedes” from a(right) to a’ and then to a” on the 1st E-condition; and if the process takes b to b(down) then we stay at a’=a” (at the bottom) until the process (a) makes “payments” (for supplies or labour, for example) to bring the receivables to a higher level in excess of b=1/e which occurs at a=1/e and, in general, the process (a) cannot advance by negotiating receivables (b) if α×log(b) < -1/e which occurs at a=1/e and is the minimum b for that modality. It’s also noteworthy that we should not expect “continuity” as illustrated and that the implementation takes place only in the “rational numbers” and not even all of those because the embedding space (N) is always finite with n-elements and the probability of a payable or receivable event is 1/n and subject to our choice of “units” which determines the effective measure of the sets in (N). The implementation of Company A in-process is discussed in detail in The Process and there are exceptional cases of very low modality in which α<0.10617…≈ γ/2e (please see Extreme Alpha in The Process) in which the only way to advance the process is to create more payables by increasing the debt because they cannot be created by the process itself with its existing trading connections; however, in all other cases, the way to advance the process of Company A towards the modality of Company B is by “investment” which could mean equity or higher prices for their products and, therefore, we only need to deal with the modality that is represented by the 2nd E-condition of Company A and its receivables set; the 1st E-condition is implicit and realized by a reflection of the 2nd E-condition in the diagonal line a=b. 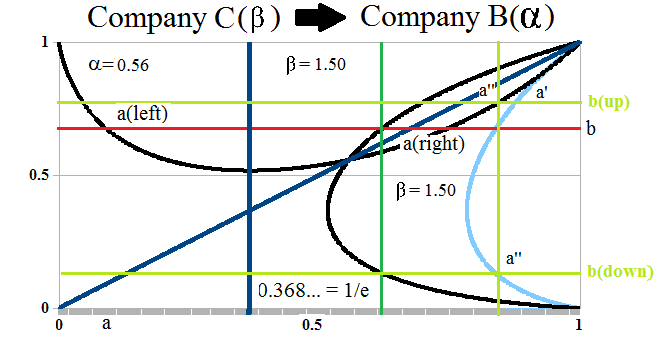 From the Company B analysis, we know that the process (a) cannot advance by negotiating its receivables set (b) until α×log(b) ≥ -1/e and such (b) occur in Company A at much lower levels of the process (a) than are required in Company B; hence, in order to advance the process of Company A towards the process of Company B, we need to “pay more” for its receivables which is equivalent to “investing” in the process (a) of Company A and the amount that we can afford to “pay more” and still maintain the Company B modality is b – b(up) as is shown in Figure 2 on the right. But the amount b – b(down) can also be used but creates an “indebtedness” in the Company A process which it will then need to “work it out” in the same way as in the Company B case. We also note that we use the notation a’ and a ” on the left for the same value and that is correct except that it refers to different sets of payables (a’) and (a”) that are implemented at b(up) and b(down), respectively, in the Company B modality. Integrating with a Company C, however, is (not surprisingly) the reverse of integrating with a Company A; we need to “pay less” for its receivables and withdraw our “investments” so that Company C will need to adapt to lower prices or increase the payables of its process with debt or less “ownership” in equity (by converting its receivables to receipts) in order to maintain that modality and level of receivables if it so desires because, after all, there’s not much pressure on just one lifetime but there are no dynasties. 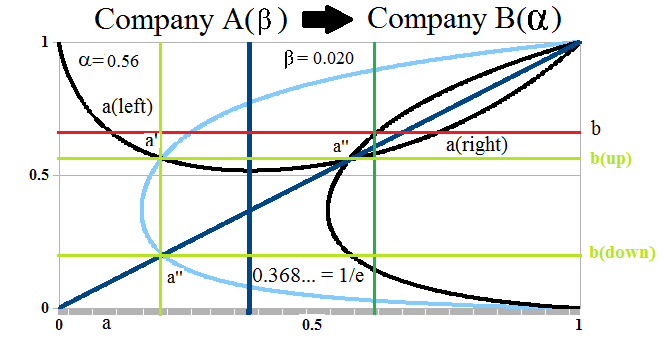 The amount that we should pay less (or use less) is b(up) – b and we will still maintain our modality at a” on the 1st E-condition and the effect will be to shift a’ for the 2nd E-condition of Company C to a smaller a” on its left; please see Figure 3 on the right. We could also withdraw our investments by having the company pay them down in cash and lend the money to the company at the level of (b(up) – b) + (b – b(down)) = b(up) – b(down) and still maintain our modality on the 1st E-condition at a” (at b(up)) even though we have increased our receivables and reduced our payables whereas if the Company C maintains its modality, it’s at a new level of payables a’ to the right of a” (at b(down)) because the company’s receivables b are less and its payables a have increased and the company will be closer to the beginning of its process at a=1 and b=0 rather than at its end at a=1 and b=1.